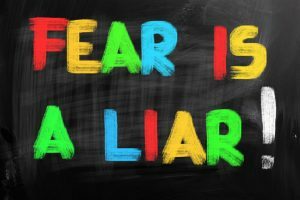 SOCIAL LICENCE – FACT OR FICTION? Fig 3 - 1985. Extensive 2D coverage since 1969. 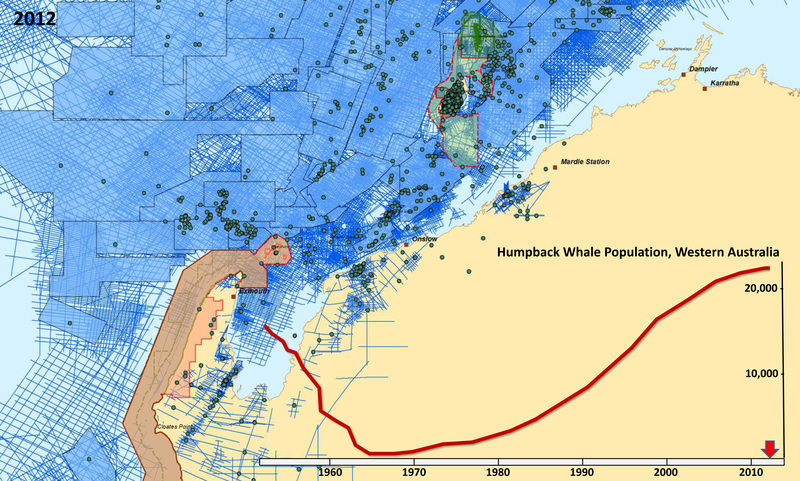 Humpback whale population recovering. First 3D survey occurred following year in 1986. TNR has previously written about the deceptive pseudo-science of Oceana in an article titled “How can Oceana justify misleading the public” and the falsehoods spread by Oil Free Seas – Australia (OFSA, previously Oil Free Seas – Kangaroo Island or OFSKI) in an article titled “The Torrent of Falsehoods on OIL free Seas_Kangaroo Island (OFSKI)’s Facebook page continues“. OFSA’s recent post of an Oceana piece of pseudo-science entitled “7 Marine Animals That are Not OK with Seismic Blasting (Photos)” deserves to be robustly challenged and consigned to the electronic waste bin. Any person who uses the term “blasting” for the release of compressed air at 2,000 psi (when actual chemical explosive blasts are 3,000,000 psi) is obviously demonstrating extreme bias. Let’s have a detailed look at Oceana’s latest “missive” which they have deceptively published on the “LiveScience” website presumably in the expectation it will garner some credibility despite it being totally misleading and inaccurate. Given it would take a very long article to counter/challenge Oceana’s claims for each of the 7 animals in their article, in the interests of brevity, this article only addresses one of the species – humpback whales. I will defer commenting on scallops, sperm whales, etc, to future articles. After Oceana mentions just “one recorded instance, (in which) humpback whales in a 100,000 square mile area stopped singing when subjected to the powerful sound of a seismic airgun near Scotland” they then conclude that “ending the humpback’s haunting song could impact migration, breeding and feeding” However, Oceana have ignored the research and the facts that demonstrate very convincingly that humpback migration, breeding and feeding – and hence population health – are not impacted by seismic surveying. 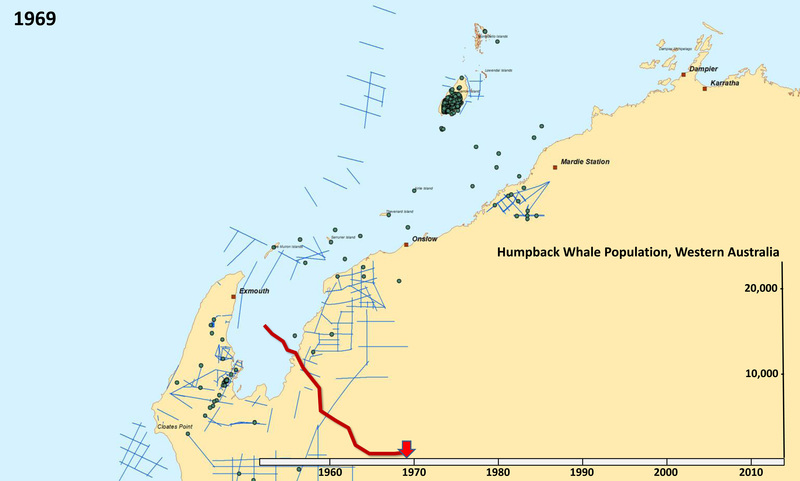 The Group IV humpback population, which migrates during the winter months from their summer feeding grounds in Antarctic waters to the NW Shelf of Australia to calve in the offshore Kimberleys region, has increased at a rate very close to biological maximum while the area has been developed into a petroleum province of major importance to Australia. The following 2 figures are a subset of the figures shown in item 3 of an article titled “The right to protest or lobby should not be abused“, which outlined a series of areas in which eNGOs misinformed the public. Fig 1 1969. Note commencement of offshore seismic activity and humpback population near lowest count. Fig 2 – 2012. 3D seismic coverage has extended into deep water off the continental shelf. Humpback population has continued to grow and is back to pre-whaling population levels. 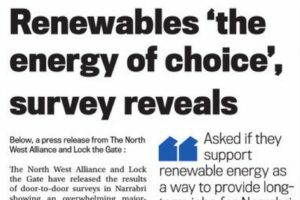 In conclusion, what was the impact of all that seismic surveying on the Group IV humpback population on the NW Shelf of Australia? ZERO! 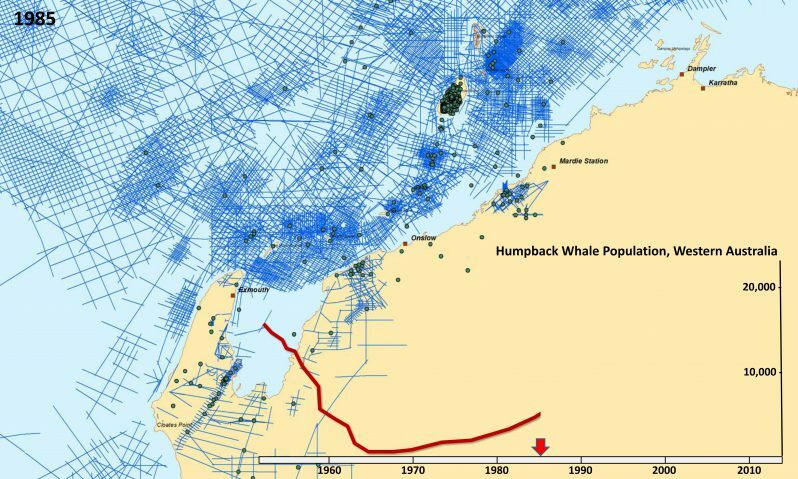 If one considers the behaviour of humpback whales in the vicinity of seismic surveys, any reasonable person would conclude that there is no adverse impacts although there may be fairly insignificant behavioural responses like avoiding the vessel (and the sound?). Another article on this website, “How loud is the sound of a breaching whale” shows that a humpback whale would need to be just 68m from an operating source to hear a sound as loud as it makes while breaching. Ironically, given the distances involved, it is just as likely, or more likely, that a humpback whale will avoid potential collision with a vessel, than avoid the sound of the seismic source. Perhaps this is why the whale in Fig 3 appears to have no problems getting “close and personal” with an operating seismic array? ii) “Humpback whales are likely to move away from a source during a ramp-up sequence; Starting at a higher initial level was no better at triggering whales to move away, and; Using a ramp-up procedure would limit acoustic exposure while close to the source.” In addition “ ‘Control’ groups also responded suggesting the presence of the source vessel had some effect.” in the case of the small array up to 440 cubic inches. The information on this site has been placed here by The Norwood Resource in good faith and in an effort to further knowledge of the facts and issues pertaining to the oil and gas industries. Copyright in material published by The Norwood Resource is the property of The Norwood Resource and may not be reproduced without credit. Copyright exists in all original material published on this website and may belong to the originator, author or to The Norwood Resource depending on the circumstances of publication. Please do not use The Norwood Resource logo without permission.